ViCoast provides cloud service implementation including strategy, cloud based applications, infrastructure and security. ViCoast provides cloud service implementation including strategy, cloud based applications, infrastructure and security. We also provide 24/7 monitoring, support and maintenance. Build reliable applications for most popular and futuristic cloud environments with our expertise in building the cloud strategy, cloud enabled applications, complete cloud applications, cloud infrastructure and security with complete support and maintenance. How can I benefit from Cloud Computing? Improves agility with users and has the ability to re-provision the technical infrastructure resources. Reduces initial investment cost on IT infrastructure and continuous upgrades, has flexibility in sharing the resources, scaling when needed. Connect from anywhere and from any device to always available resources. Virtualization technology allows you to move your application from any physical server to another. Improve resource utilization by sharing resources and costs across a large pool of users, centralize resources and lower costs on real estate, electricity, etc. Improved if multiple redundant sites are used, which makes well designed cloud computing suitable for continuity and disaster recovery. Scalability and elasticity through dynamic on-demand provisioning of resources with self-service based near real-time utilities. Always monitored, consistent and loosely coupled architectures are built using web service as the system interface. Centralization of data could improve security with increased security focused resources, hybrid cloud model can also be used when security on sensitive data is concerned. Cloud applications are easy to maintain as they do not need to be installed on each individual user’s machines and can be accessed from different places. Support for all major cloud providers like Amazon, Microsoft Azure, Rackspace Cloud, etc. Transfer/migration of applications, volumes, etc. Dedicate your time to best serve your customer while ViCoast can manages all your infrastructure on the cloud. Provide greater flexibility to your customers by offering cloud based SaaS applications. 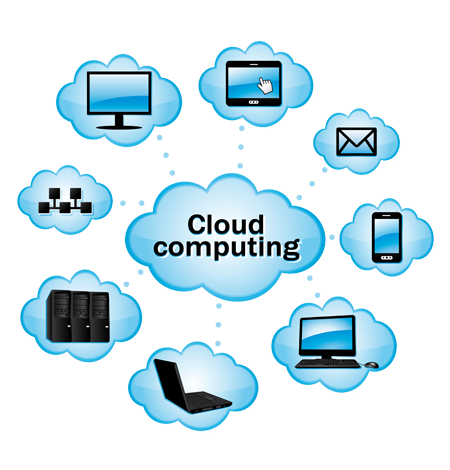 Provide highest quality service your customers by leveraging on ViCoast’s proven knowledge on cloud computing. Our cloud technology experts and architects can bring the architecture to a reality by building cloud infrastructure end to end, move existing data & applications, implement security, enable monitoring, etc. Includes 24/7 monitoring of cloud infrastructure and applications for availability, performance, capacity, and management. Our technically skilled support team can help you to reduce post deployment hurdles by supporting and maintaining the cloud sites, and cloud servers. Includes relocation of resources on the cloud including cloud servers, volumes, disk images, data, applications, etc. Scaling up the resource based on the load and utilization, disaster recovery planning and implementation.